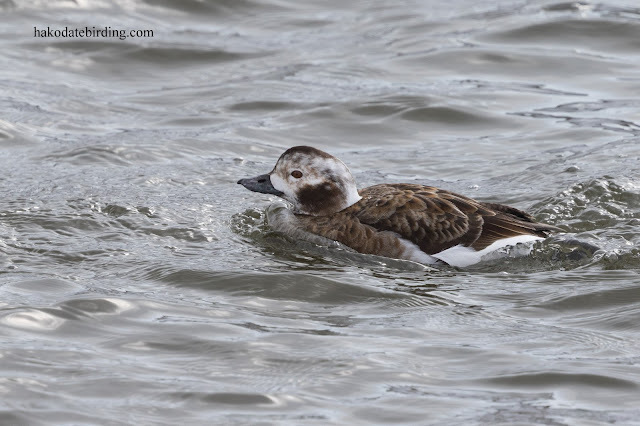 My target was Long Tailed Duck, this is the only reliable local place to see them in fact. 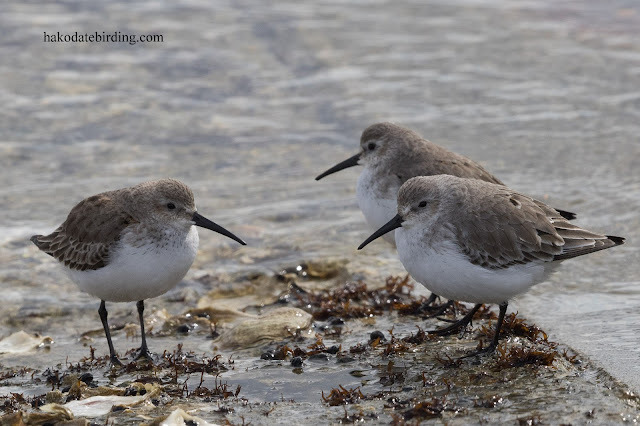 There were only 3 present today, 2 males and a female. 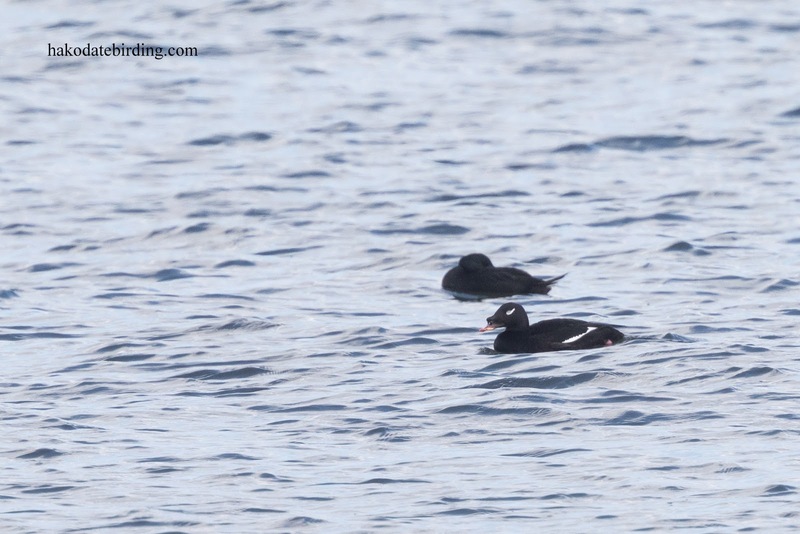 Offshore there were groups of scoters, both species. 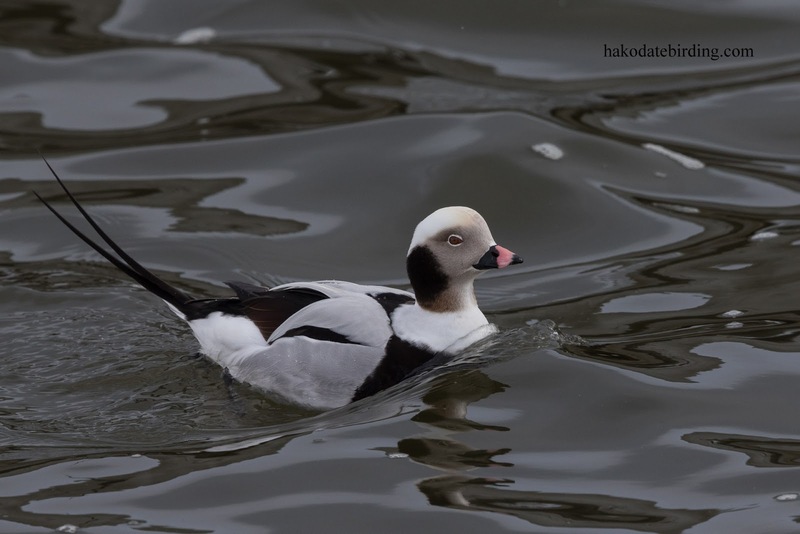 Black Scoter often venture close inshore and are regular visitors to ports like the ones we visited on this occasion (although not today) but the Asian race of White Winged Scoter seems to avoid coming inshore, at least in south Hokkaido. 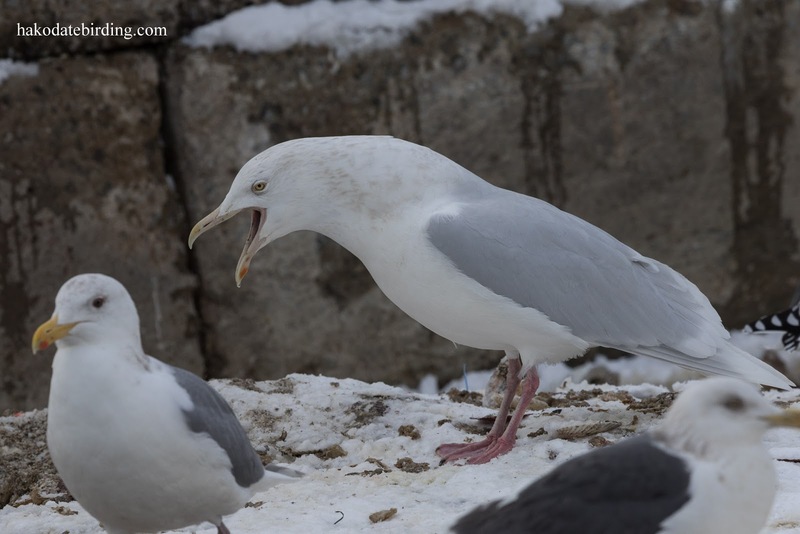 They are also much scarcer and I have yet to get an even halfway decent shot of one. This is pretty much a 100% crop at 700mm of a male White Winged Scoter (the one behind is a Black Scoter). 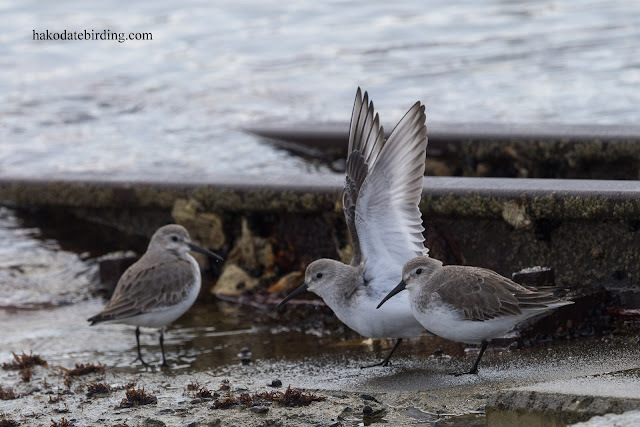 There is a regular flock of Dunlin at one of the ports but the first time I've seen them this winter. 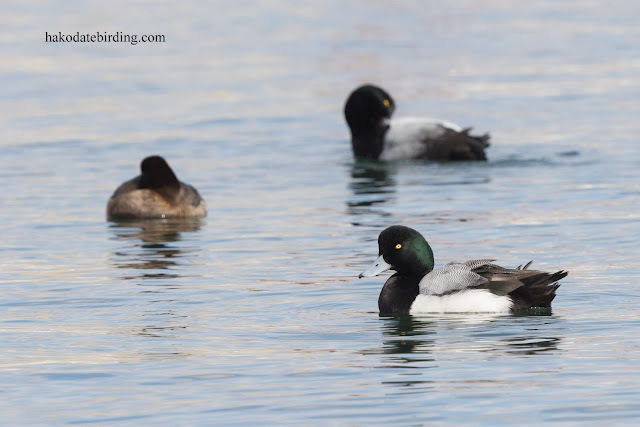 They were very skittish though and flew away before I could get close. 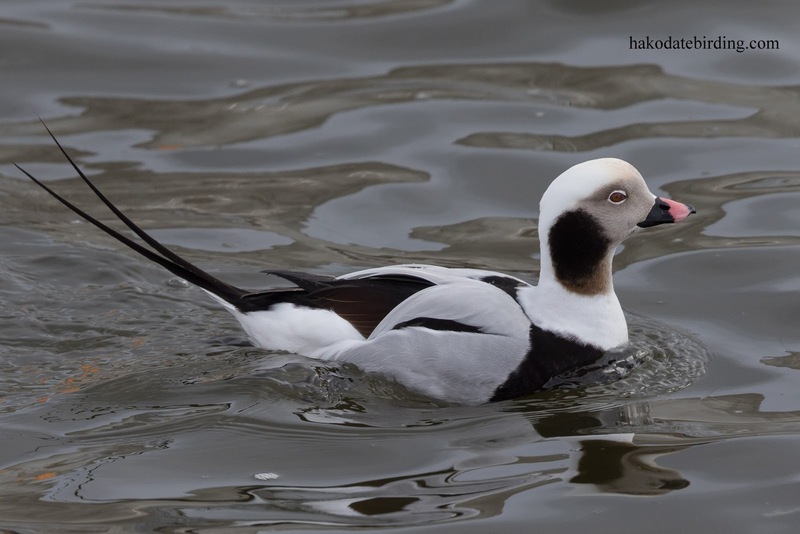 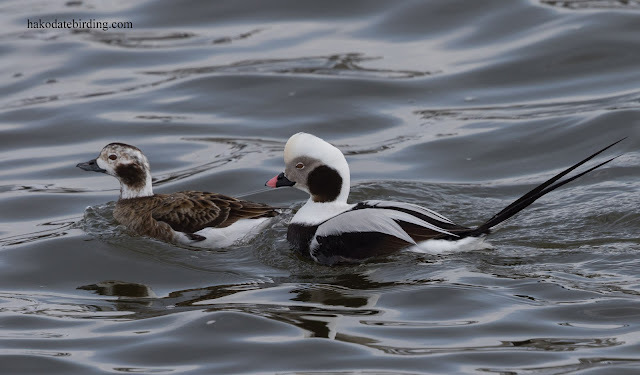 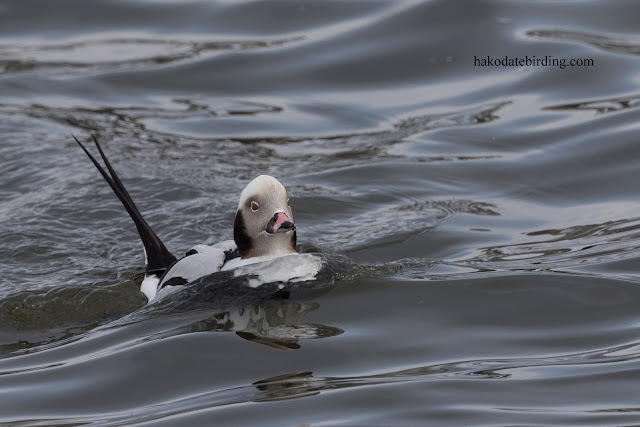 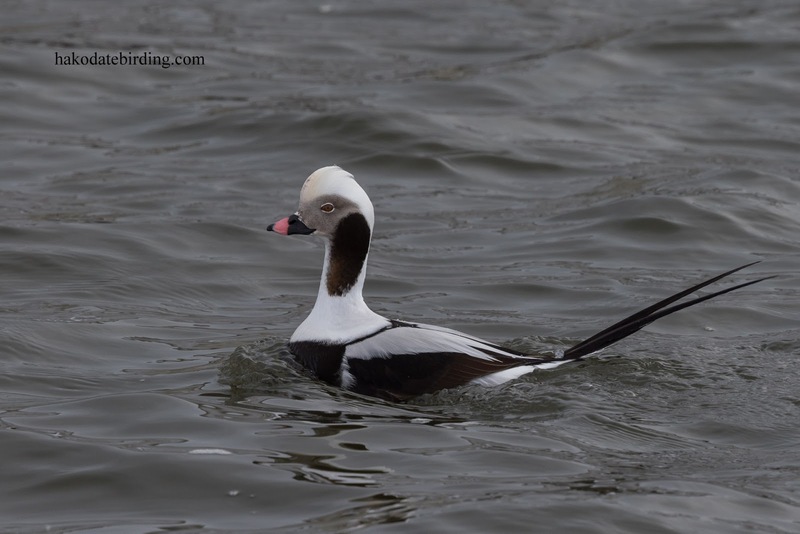 Long-tailed Duck is very attractive. They are present by the thousands on the Great Lakes in Winter. 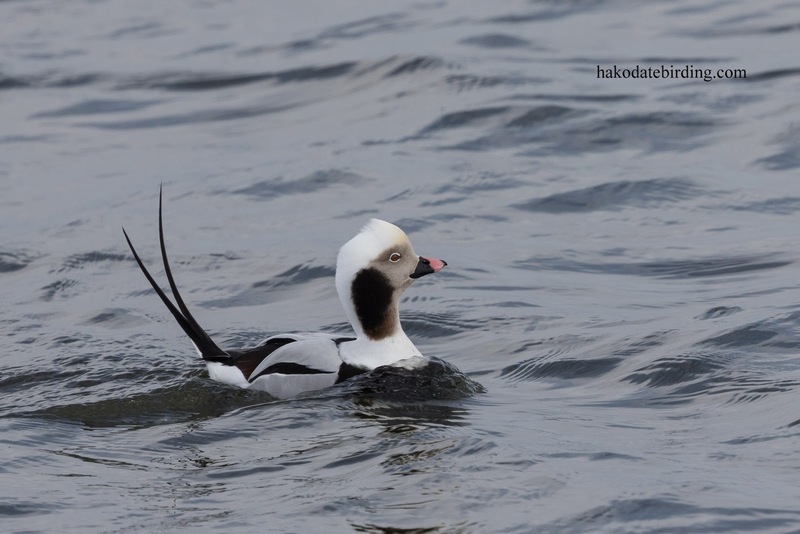 Must be great to see so many, they are not so numerous in south Hokkaido. I was happy with 3!